In India’s nationalistic narrative Mohammed Ali Jinnah never got the place he deserved which was totally usurped by Mohandas Gandhi. Few nationalist historians have dared to cast a cynical look at Gandhi’s life and machinations and almost all of them have chosen to gloss over the many warts in Gandhi’s personal, professional and nationalistic life. 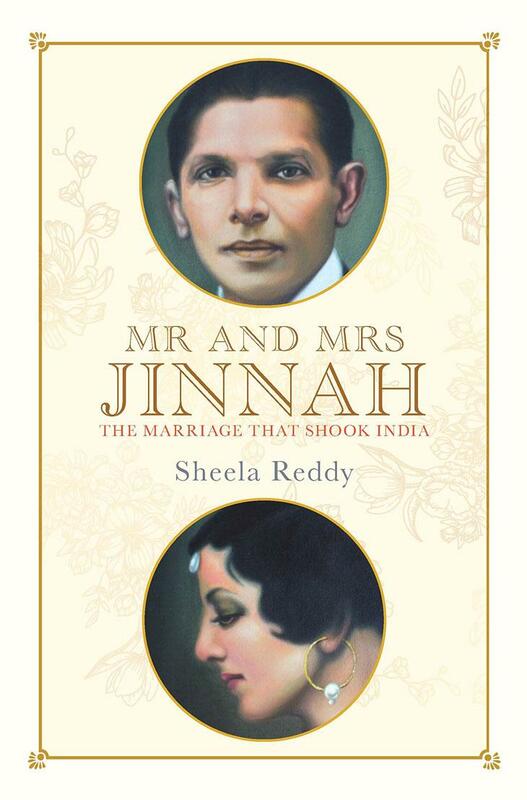 In that sense senior journalist Sheela Reddy’s recently published Mr and Mrs Jinnah: The Marriage that Shook India (Penguin) is a welcome relief and offers a daring and clinical insight into the life of two of national movement’s biggest stalwarts Jinnah and Gandhi. The book’s focus is on Jinnah’s traumatic married life to Rattanbai Petit (Ruttie), the teenaged daughter of a Parsi upper-class family of Mumbai, but often, the author casts a bright light on to the deliberately darkened areas of Gandhi’s life which we have so far opted not to see or delve on for long. We have read about Gandhi’s conciliatory attitude towards minorities in the later part of the national movement, however, his early hatred and suspicion of Muslims, as described in the book, will shock the readers. When Motilal Nehru’s elder daughter Nan fell in love with Syud Hossain, an aristocratic and dashing young Muslim who was editor of Independent and thus had free access to Anand Bhawan, all hell broke lose. In that chaotic and liberal household, where Muslims were considered part of the family, it was not surprising that the beautiful Nan and the attractive Syud fell in love and were almost living together. Motilal espoused liberalism and modernity but when it came to his daughter marrying a Muslim he wavered. Unlike a liberal, Motilal had betrothed her to another Hindu aristocrat’s son when she was just 12 or 13, but Nan, the carefree daughter of a liberal household had other ideas. She thought that the issue of marrying Syud wouldn't pose any problems in that 'modern’ household. After their affair became known, Nan was promptly despatched to Gandhi’s ashram for a cleansing ritual so as she could be dissuaded from marrying a Muslim. Gandhi ran the ashram like a prison and had “bizarre and primaeval” rituals. The ashramites lived in utter fear of Gandhi. Gandhi had by then brutally punished a young lady who had fallen in love with another ashramite (not a Muslim) and personally cut off the girl’s beautiful long silky hair, an act which can today be considered criminal. As part of Nan’s cleansing and ‘cultural reorientation’ Gandhi lectured the sister of the future prime minister about the evil nature of Muslims. Neither Syud nor Nan were ever taught to look at people as Hindu, Muslim or Christian. It was Gandhi who tried to ingrain this thought in them. Where did the liberals go? In fact Reddy points out in detail that all the characters in the early years of the Congress party in the anti-colonial movement were brought up in extremely liberal, modern atmosphere and most of them rebelled against Brahmanical social norms. Compared to all this, Gandhi’s ashram was a haven for the patriarchs, a medieval, casteist monastery where ashramites were regularly chastised on moral and religious grounds. 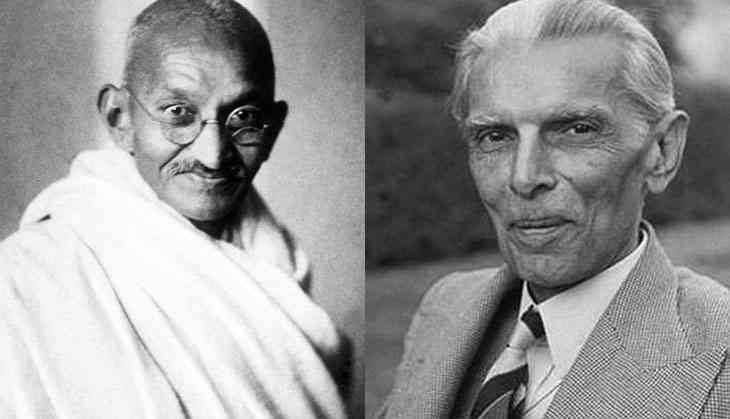 There was Gandhi’s overtly Hindu and monastic attitude infused with vague notions of celibacy and vegetarianism and then there was Jinnah – a completely modern, secular, liberal man who had a worldview which now looks similar to that of Nehru's. Jinnah either completely ignored or rebelled against his own Muslim Khoja orthodoxy and superstitions. “He not only defiantly dressed like a British gentleman but smoked, drank, ate pork and more seriously, insisted on putting his sister into a convent boarding school despite opposition from his community,” Reddy writes. Jinnah’s later move towards the Muslim Right was largely due to the opposition he faced from Gandhi within the Congress and of course other pro-Hindu factions like the Hindu Mahasabha etc. Jinnah, as is known, had made various attempts to bring the Muslim League close to the Congress but was rebutted by the government and also by Gandhi on various occasions. In 1915, for instance, Jinnah brought the Muslim League in by holding the session at the same time as the Congress' in Bombay, but the proceedings were disrupted. All details of the Gandhi-Jinnah conflict are known but Jinnah’s role in trying to bring together a Hindu-Muslim political conciliation has been underplayed. Jinnah’s Delhi Proposals were accepted by the Congress but was fiercely opposed by the Hindu Mahasabha at the all-party conference. “Jinnah’s personality dominated both the issues in the Assembly and in the All Parties Conference. Never have I admired him more than now. What dignity and courage in the midst of suffering – what patience, persuasion and real statesmanship he showed during the most trying period of the prolonged conference,” Sarojini Naidu wrote in February 1928 when she was in the inner circles of the Congress. In fact, during the early phase of the struggle, it was Jinnah who had the guts to take on the British head on while Gandhi was extremely conciliatory. Once Jinnah joined the anti-Rowlatt agitation led by Gandhi, Jinnah resigned from the Assembly and plunged headlong into the agitation. “It was Jinnah whom the government feared, considering him a far more dangerous power centre than Gandhi. Unlike Gandhi who sent out mixed signals about his approach to the British government, even volunteering to recruit Indian soldiers for the War effort without placing any conditions, Jinnah took on the British frontally,” Reddy writes. Gandhi saw in Jinnah both a threat and a rival and therefore treated him with disdain. Once when Jinnah wrote him a nice letter from abroad asking Gandhi for news about political developments, Gandhi gave him gratuitous advice suggesting that he learn Gujarati and Hindi and asked Ruttie to be sent to spinning classes! Reddy’s book is evidence that drunk with our nationalistic pride and hurt about the formation of Pakistan we have failed to properly understand the role that Jinnah played in trying for a united Muslim-Hindu political front before he was pushed to a corner and went the other way. Reddy’s book is a serious attempt to look dispassionately at the role that Jinnah played and for once keep Gandhi aside in the narrative of the national movement, so that we can get a better view of Jinnah the man and the leader, minus the blinkers.